Is Michigan’s Ambitious New Drinking Water Rule Enough to Protect Communities From Lead? Seems like Michigan learned its lesson on lead exposure after what happened in the city of Flint. The state is on the verge of implementing the nation’s tightest drinking water rules around lead. If all goes smoothly, the state’s new Lead and Copper Rule should be live by the end of the week. Though a step in the right direction, this new rule still leaves plenty of room for improvement. It alone won’t end lead exposure. Since 2014, Michigan’s been dealing with the fallout of a water contamination crisis that exposed Flint, a city of nearly 100,000, to drinking water whose lead levels were nearly double the federal action level, which is 15 parts per billion (ppb). Michigan’s new rule would drop that action level to 12 ppb by 2025. Originally, the new rule aimed to bring the action level to 10 ppb, but negotiations between lawmakers and officials with the Michigan Department of Environmental Quality (DEQ) bumped the number a bit higher. While on paper it still looks like progress, in practice, an action level that’s improved by 3 ppb amounts to very little, said Mary Jean Brown, a professor at the Harvard T.H. Chan School of Public Health who used to chair the Lead Poisoning Prevention Branch with the Centers for Disease Control and Prevention. After all, the CDC finds no blood lead level safe for children. The action level is simply a guide for when utilities and their respective districts need to take action to reduce the amount of toxic metal in the water supply. On the federal level, that involves notifying the public. Under Michigan’s rules, this action level triggers corrosion controls to treat the water and an eventual service line replacement if that doesn’t solve the problem. What’s perhaps more significant about Michigan’s updated rule—first proposed in 2016—is that even if water meets the action level, utilities must ultimately replace all lead service lines by 2040, unless a utility can prove the process will take longer. That’s a big step up from the federal rule, which ignores lead lines on private property. And it’s this ongoing replacement that will ultimately have the real public health benefits. Lead service line replacement in Flint, Michigan, last year. The DEQ could not get back to Earther in time for publication despite several attempts to obtain details on the plan. Brown emphasized that even the replacement of all lead service lines doesn’t guarantee safe drinking water. Water’s got to be tested and then treated accordingly regardless of how new the pipes it’s running through are. Cities can replace all the water systems they want, but water needs the right chemical recipe to ensure it’s safe for people to drink. It’s also important to note that paint, the main source of lead exposure for children, is something this new rule does not deal with at all. Critics of the rule were quick to point that out, reported The Associated Press. The way Brown sees it, states (and the federal government) need to deal with all these sources. “When we are saying there is no safe blood lead level in children, we have to be serious and remove all sources,” she said. There’s one last important aspect to the new rule. 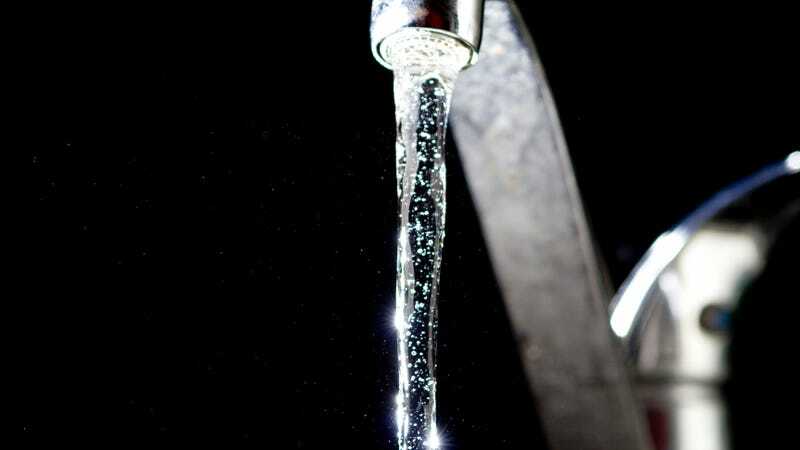 Utilities (public or private) must also provide an inventory of lead lines by 2025, a component that’d create a new level of transparency previously unavailable to residents who might have no idea their water runs through lead pipes. Gina Luster, an organizer of local group Flint Rising, is excited to see this transparency piece, even if she doesn’t see how this rule will benefit anyone in Flint, per se. After all, the city’s already undergoing its own line replacement as a result of the water crisis. Michigan’s new Lead and Copper Rule is just scratching the surface of what kids around the country need to ensure they’re safe from lead.